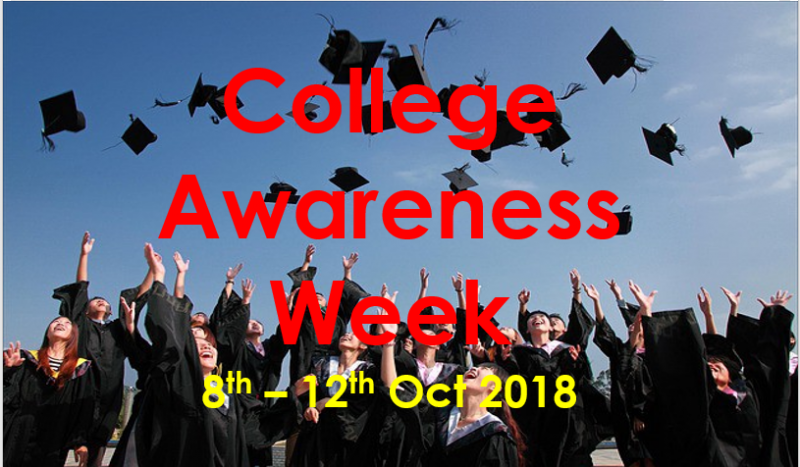 This week is College Awareness week. There are lots of things happening including visits from past students who are coming to speak with our current 6th years, Junior cycle students will look at careers in their SPHE lesson and we have our careers fair on Thursday evening for senior students. We are looking forward to a great week.